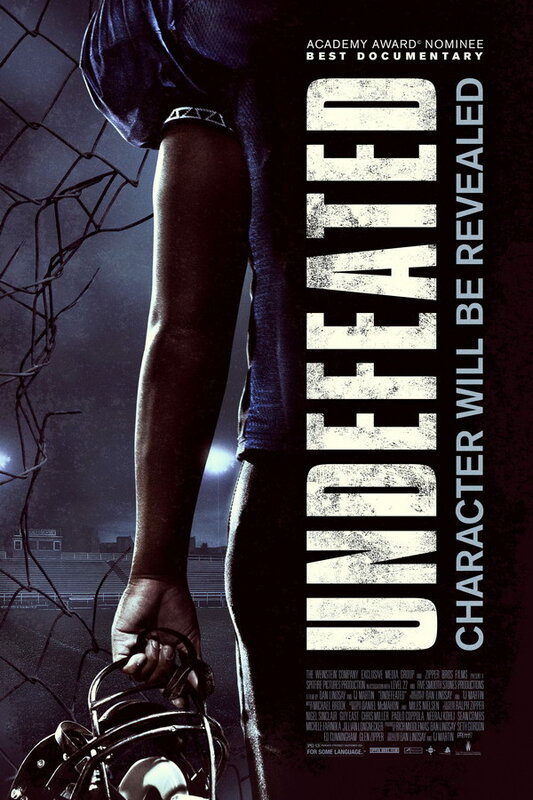 Undefeated font here refers to the font used in the poster of Undefeated, which is a 2011 documentary that centers on a high school football team who attempt to win after years of losses. The font used for the movie title in the poster is very similar to Impact and the subtitle “Character Will Be Revealed” is set in Akzidenz Grotesk Medium. Both are commercial fonts and you can view more details about it here and here respectively.